A 12-point document obtained by Spain’s Europa Press news service expresses "opposition to the adoption of any agreement with Turkey, which expresses even indirectly the possibility to proceed with mass expulsions to the Turkish territory or any state, not a member of the European Union." 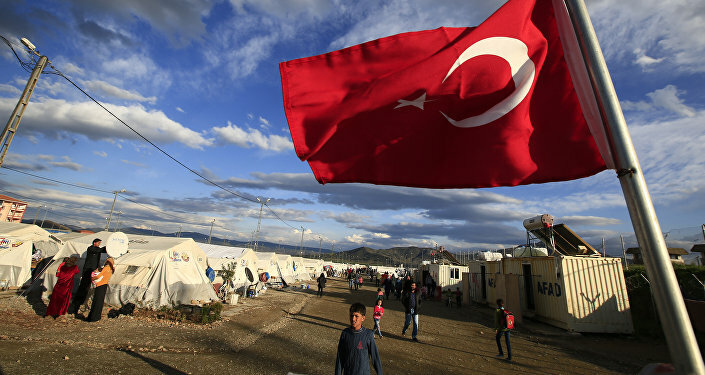 MADRID (Sputnik) – Spanish lawmakers and the country's Foreign Ministry agreed to reject the European Union’s preliminary pact with Turkey to stem the refugee crisis in its present form, Spanish press reported Wednesday. Heads of 28 EU member states are expected to cement the EU-Turkey action plan that envisions a one-for-one exchange of undocumented migrants for approved refugees at the March 17-18 European Council in Brussels. "We consider it essential that the declaration or agreement expressly ensures that any expulsion to Turkey will only be possible when it is taken after the final conclusion of individualized asylum dossier with all guarantees," the document read. Spain’s consensus document demands from Brussels "compliance with international law and respect for human rights" in efforts to combat the refugee crisis that has beset Europe over the past year. 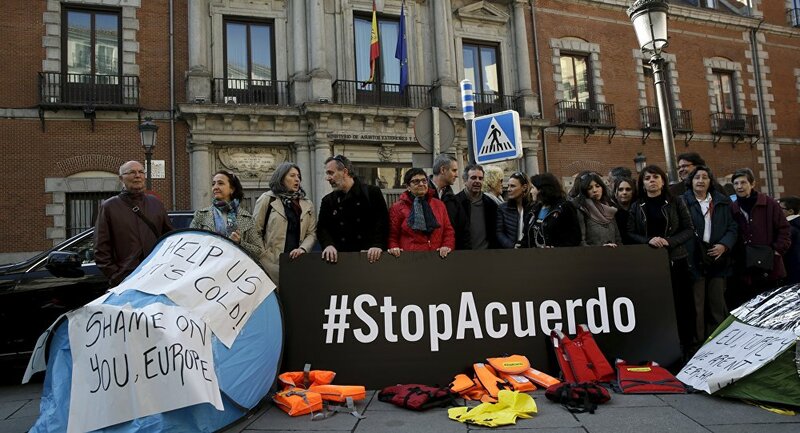 Activists are scheduled to stage protests against the action plan in its present form across several of Spain’s cities on Wednesday. Municipal authorities in Barcelona and a number of other cities ordered EU flags to fly at half-mast in opposition to the EU-Turkey deal. In addition to the so-called one-for-one exchange, Brussels agreed to speed up Turkey’s EU membership accession and visa liberalization talks, as well as accelerate the disbursement of the $3.3 billion pledged on refugee projects in Turkey.